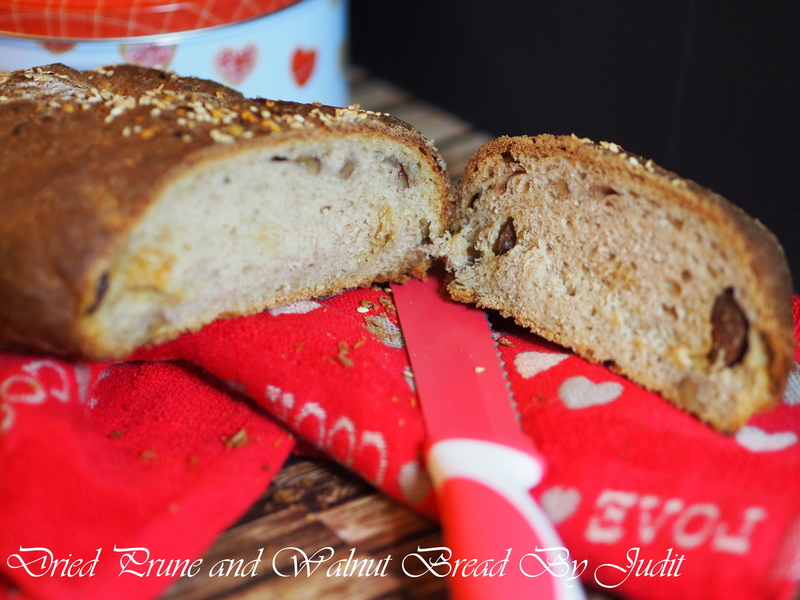 Back to Traditions: Dried Prune and Walnut Loaf | When Judit bakes...bread and better.. Dried fruit and nuts were popular snacks in my grandparents’ younger life. 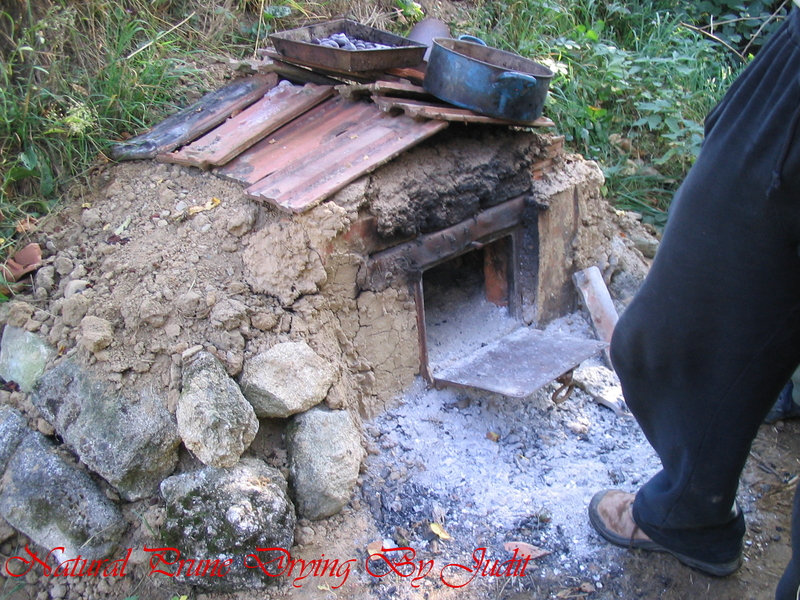 Some people of the older generations, including my father-in-law, still posses the knowledge of building a small brick and mud oven to dry the fruit, however it can be done in a modern, conventional oven. Firstly wash the fruit well.Light-colored fruits need to be dipped in lemon juice before they are dried in the oven as the acidic juice helps these fruits from turning dark brown. Make sure the pieces are uniform in size, so they’ll all dry in the same amount of time. If uncut, vent the fruit skin by making a small slice in the ends with a sharp paring knife to allow the steam to escape. Apples need to be scored, then cut them into slices or rings. Apricots have to be cut in half, pits removed. Peel and cut bananas into slices. Remove cherries’ stems and pits; cut in half or leave whole. Peel peaches, remove stems and pits. Core and peel pears, then cut into slices or rings. Heat the oven to 60 degrees Celsius. In the meantime, place the prepared fruit in single layers on tray. When the oven is heated, place the trays in the oven. Prop the oven door open a few inches so the steam can escape and the air can circulate. Check the fruits often, rotate the trays and turn the fruit every hour or so. On the average, fruit can dry in as little as eight hours, however, some fruit can take up to twenty-four hours to dry. 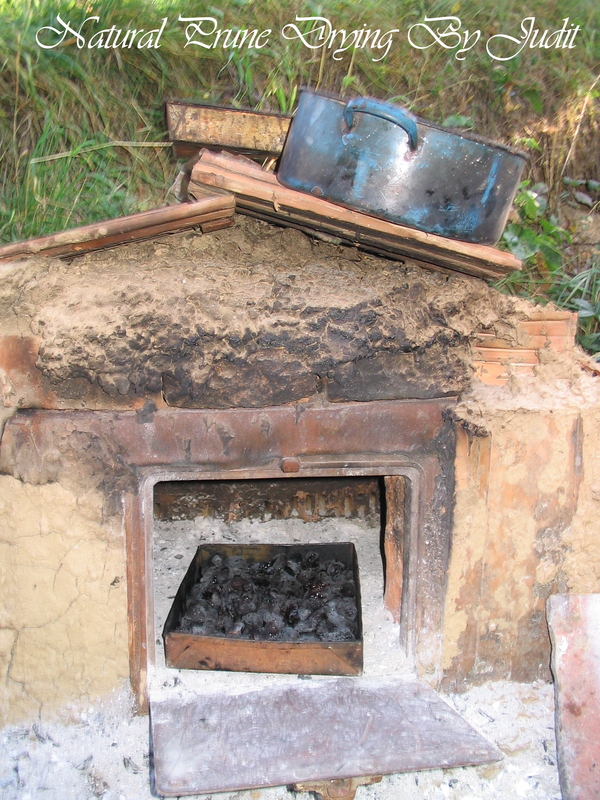 The small brick oven for fruit drying is fueled by firewood and its appearance was a usual design in the olden days. The oven roof is arched, the floor is long and that helps to achieve a constant temperature. 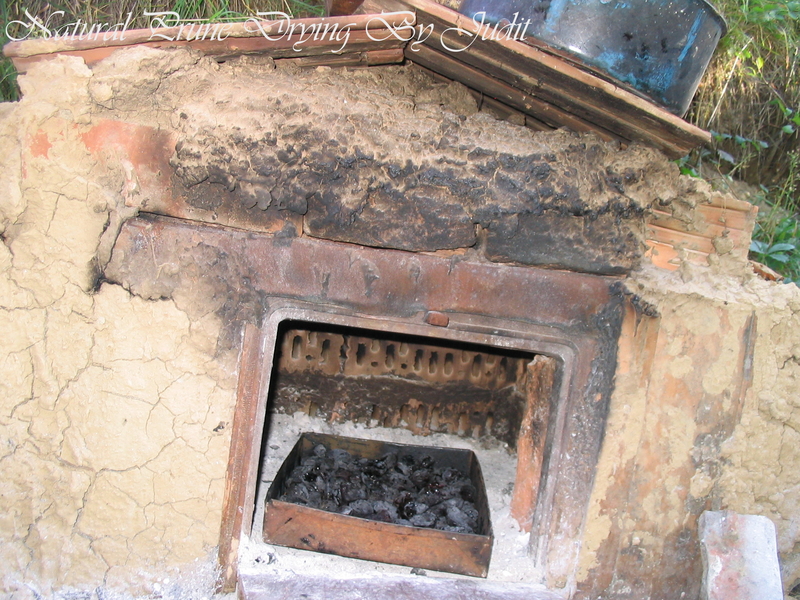 For fresh air supply there is an outside air shaft build in a ‘V’ shape on the top of the oven. The incoming air becomes heated by the warm, steamy air from inside. The ceiling also regulates steam , as well as the temperature levels. The supply of fresh air prevents the fruit from boiling or stewing and prevents the fruit sugar from caramelizing due to high temperatures. The dried fruit used to be a healthy snack in the olden times, as well as it proved to be a delicious flavouring in breads and cakes. Simmer the prunes in water, just until tender—they should not be mushy. Strain the prunes and reserve the cooking liquid. 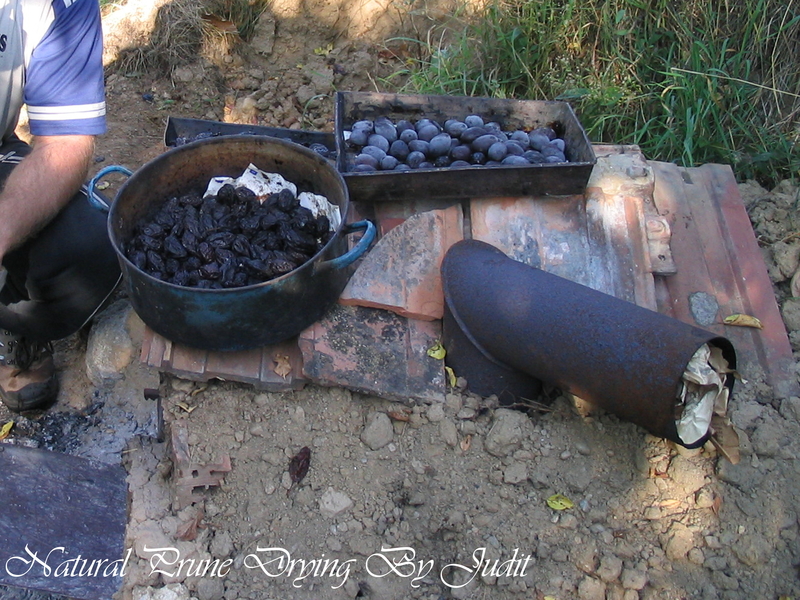 Cut the prunes in quarters, then set aside. Add the sugar and salt to the cooking liquid, mix well and set aside until lukewarm. Add the flours, the yeast to the cooled cooking liquid. Mix thoroughly until a dough forms, and towards the end add the butter cut in small pieces. The dough should be well-developed and supple, but not too stiff. Let the dough ferment, covered, until doubled in bulk. Knead briefly again, let ferment once more in a covered bowl until doubled in bulk. 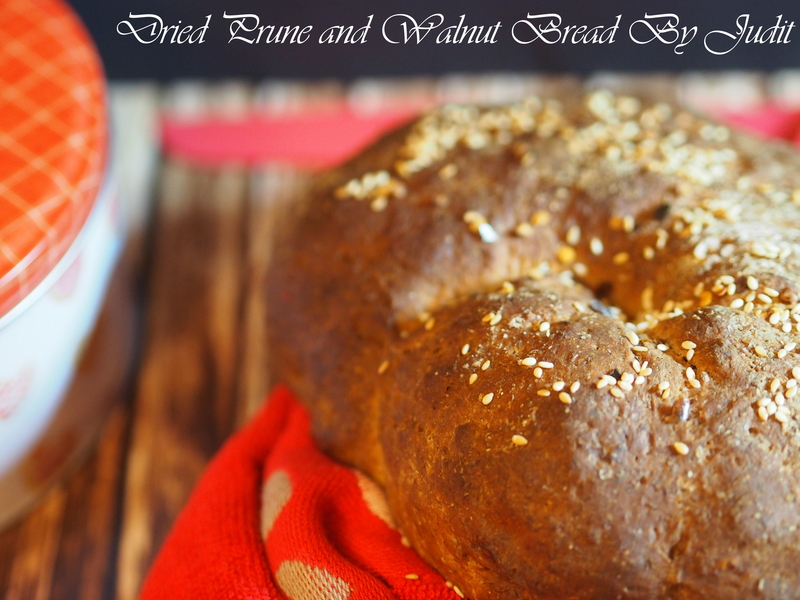 Gently flatten and stretch the fermented dough to form a rectangle, then spread the walnut and prune pieces, pressing them into the dough. Roll up like a jelly roll, pushing to avoid trapping air inside. 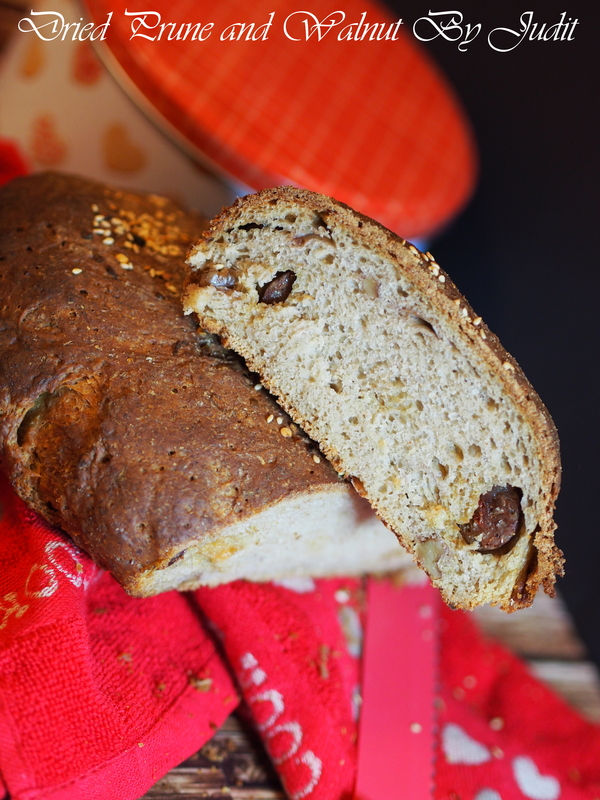 Form into a loaf and place onto a lightly greased tray and let it ferment covered until proved. Bake in a preheated oven for about 35-45 minutes, until golden brown. Let it cool on a rack before slicing. 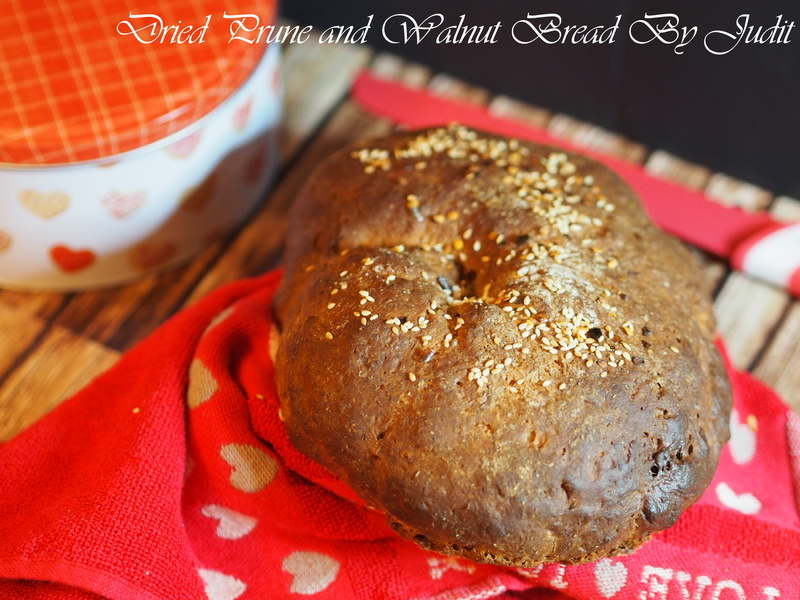 This entry was posted in Baked treats, Bread, Flavoured breads, Just Everything, Special flours and flavours, Treats for Life, Yeasted bread. Bookmark the permalink. I love your documentation of these these traditional techniques and recipes. It’s just fascinating! Thank you, however, it is just my God given luck to have such people with such knowledge around me!J.